I'd be wrong if I said the changes to the newly unveiled iPad Pro is incremental, it's not. The design and hardware, though not wholly overhauled is different from last years iteration. For one, gone is the home button following the footsteps of their iPhone X mates. No home button means Face ID will authenticate the device. The iPad Pro measurements are still the same from the previous gen model, coming in at 11-inch and 12.9-inch. The signature thick bezels on the Pro is no longer as it is much thinner ( more on the bezel later). Let's take it back to Face ID, with the iPhone X you can only unlock the device while in a vertical position. With new iPad Pro, users have the option to open the device both vertically and horizontally, using Face ID or course. When it comes to hardware, the Pro offered storage options start at 64GB capping out at 1TB, along with the usual varied price options from Apple. But it's all about that chip, the A12 Bionic engine (the CPU) backed by a 7-core GPU, potentiality making it one of the fastest high-performing mobile devices around. The famed retina display will have 2048 x 1536-pixel resolution at 264 ppi, layered with a fingerprint-resistant oleophobic coating. Interestingly enough, Apple decided to ditch the Lightning port which has for a long time served a valued purpose. Its replacement will be USB-C, opening up opportunities for third-party accessories for the iPad Pro. Hopefully ending need to use of the Apple-provided flimsy cable and the infamous brick adapter. What I considered to be a bonus is the USB-C port which now can act as a charger and charge an iPhone. Then there's the standout feature, the Apple Pencil, its standout because the design of the device is significantly improved, gone, is the awkward charging method where users had to remove the cap and then plug it into Lightning port. 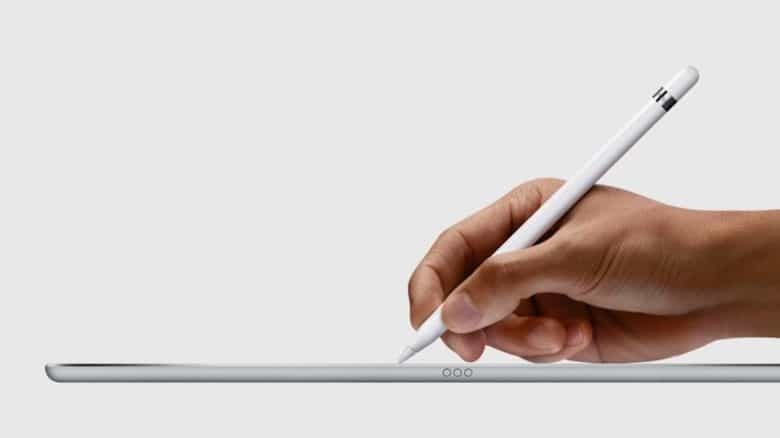 Instead, attach the Apple pencil magnetically to the iPad, which can charge via wireless Bluetooth. Pricing goes as follows; the 11-inch variant will start at $799 and 12-inch $999, Apple is now accepting preorders, The iPad Pro is scheduled to ship on November 7th. Then we have the new MacBook Air. Along with the iPad Pro Apple also unveiled the new MacBook Air and, it looks precisely like the MacBook Air from previous generations, the same one I have sitting on my desk that I purchased in 2014. But it does not means it's not without any changes, the laptop subtracts the old USB ports and DisplayPort connectors; instead, it will have two Thunderbolt 3 ports. The 13-inch retina display bezel is 50 percent smaller with the glass extending from edge to edge. The weight of MacBook Air has also decreased from 2.96 pounds to 2.75 pounds. The new MacBook Air keyboard will now have a butterfly key mechanism which has a somewhat polarizing reputation among Apple die-hards. But console will be a third-generation design improving key travel and silicone gasket which should guard against accumulated dust and crumbs. Now for the hardware, The MacBook Air will be powered with the 8th generation Intel Core i5 processors, and users will have the option to configure the laptop with up to 16GB of RAM and up to 1TB of SSD storage. The base model will come with a 1.GHz Core i5 processor, 8GB of RAM and a 128 SSD retailing for $1,199. I want to add its good to see Apple revive what I considered to be a forgotten product in the MacBook Air, which in opinion pioneered the whole Ultra-book industry.